My coworker Judy has made this salad a couple of times for the office. I had been very skeptical of the idea of adding salt to watermelon – but Judy proved me wrong! This combination is refreshing, unique and terribly delicious. 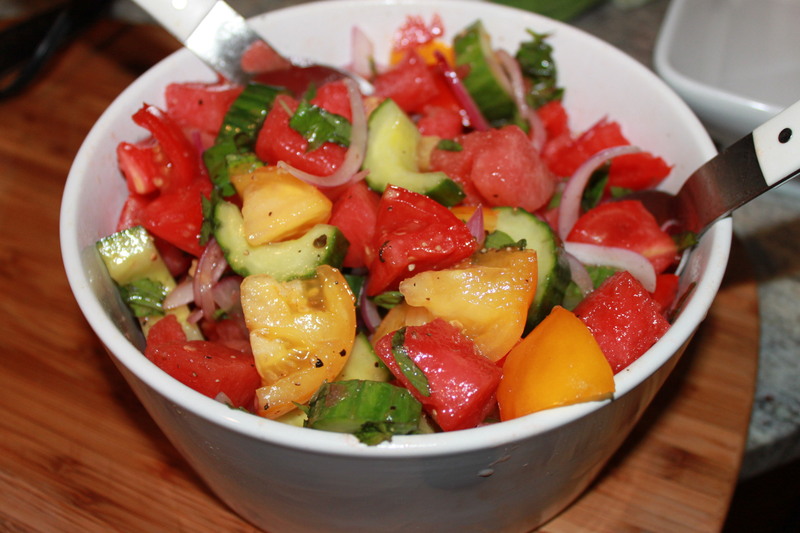 I highly advise you make this before the tomato and watermelon season is over! Assembly: Genty toss tomatoes, watermelon, cucumber and onion together. Combine vinegar, oil, salt and pepper. Pour vinaigrette over salad. Will sit for up to 2 hours in the fridge.